Jonny and I decided that we were in need of another date night, so we found a nice restaurant not to far from our hotel. 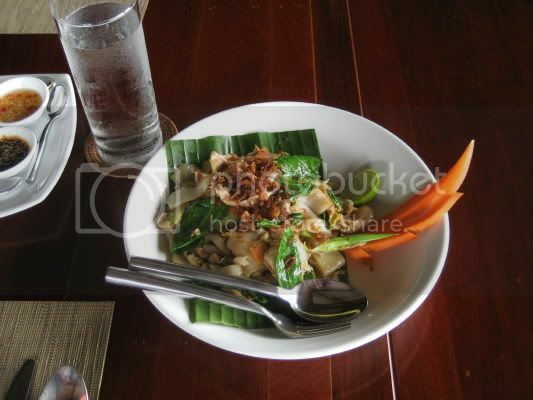 It was a really nice Thai restaurant that had won a bunch of awards in Phuket called 'Silk'. 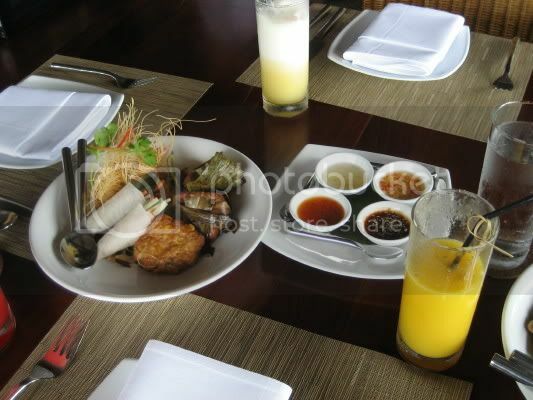 It was really gorgeous, but the food was probably some of the most amazing Thai food that I have ever had! 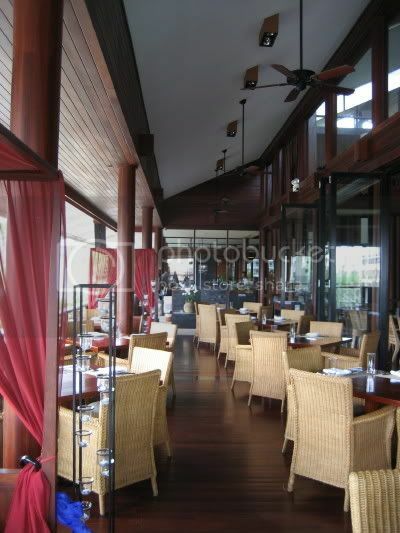 If you are ever in Phuket this restaurant is really nice place to eat fantastic food and relax in a gorgeous atmosphere. The next day Jonny realized that he left the hotel umbrella at the restaurant, so we decided to go pick it up and have lunch. Here are a few pictures of us at lunch. 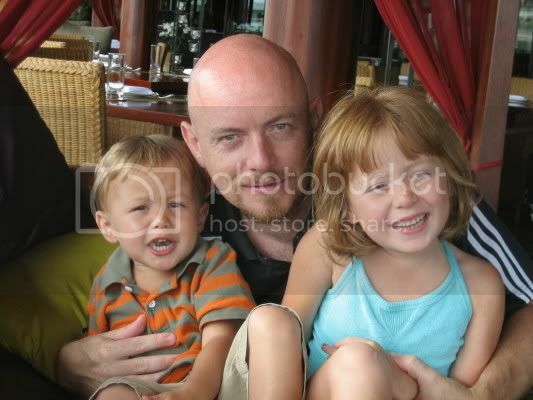 Jonny and the kids hanging out on a huge opium bed by our table. We all ordered fancy drinks! 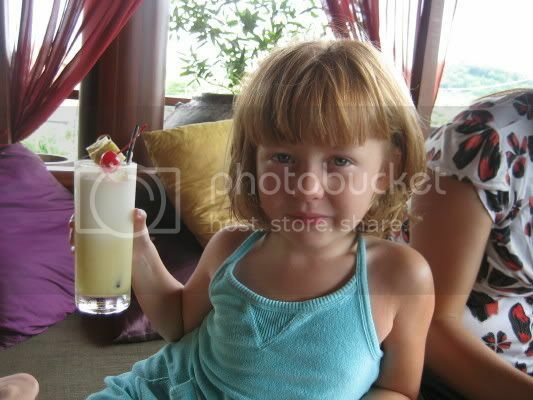 Here is Gemma with her pineapple smoothie. I ordered a mango daiquiri which was fantastic! The mangos in Thailand cannot be beat! 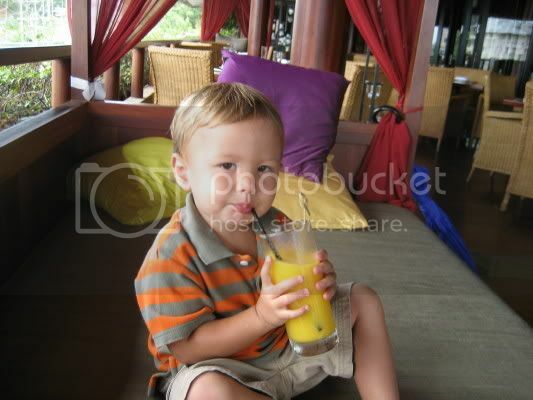 Angus with his mango smoothie. 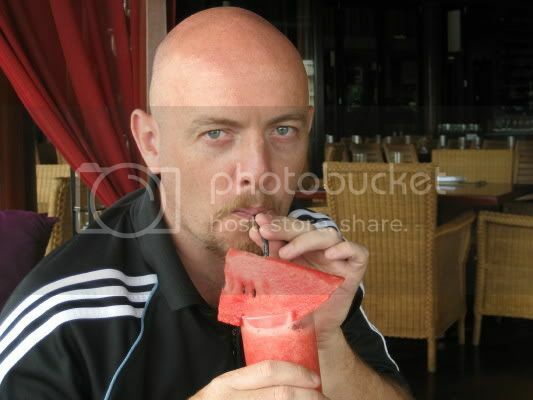 Jonny and his fresh watermelon juice. The kids and their stir fried noodles. I absolutely love this dish, but I never order it. I always end up eating their leftover though. We had an appetizer sampler of spring rolls, fish cakes, this yummy chicken in banana leaves and shrimp fried with glass noodles. It was amazing! 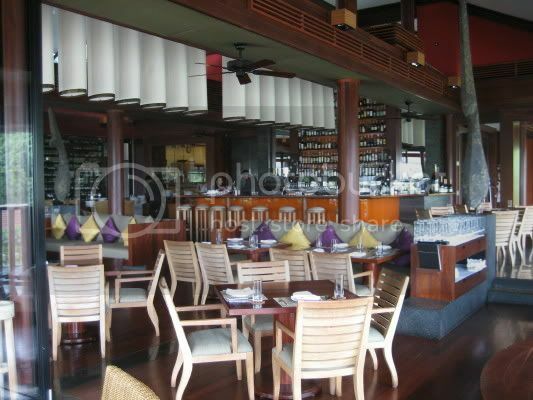 Here is the main dining room. Here was the outdoor seating. God everything looks great! You guys and the food :) How beautiful!! Happy 40th Anniversary Mom and Dad!!! Rock, Rock Til You Drop!